Bunge just offered a nice dip for those prepared to play the opportunity. How much of a selloff could we be in for? The sharp drop in Bunge is a great opportunity. 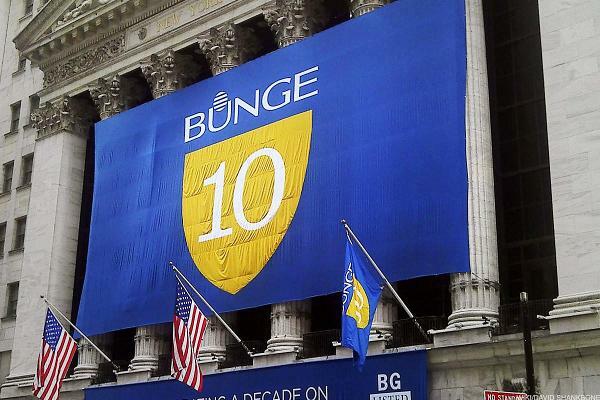 Shares of Bunge spiked more than 15% Tuesday afternoon. Should You Jump at Bunge's Breakout? A pullback to the $70.50 area, but no close below that, would be the entry to target. The benefits of covered call writing far outweigh the potential loss of even greater profit. You can't buy time, but with equity options you can sell it. Perrigo is in a CEO battle, while Bunge has undergone a quiet rise. Many nice names no longer are cheap after March's run-up; this agricultural giant is one that still is. It's a Great Time to Jump into Bunge Ltd. Charts sat this agribusiness giant's stock is down, but not out. When you see a stock do well on a day like Thursday it's worth noting. Many players panic sell just as the market is about to rebound. Here is one of the few decent quality stocks still offered near its 52-week panic low. Some executives recognize the opportunity to add to their stakes.